Compare WhisperFlo® to any other high performance pump, and you?ll hear the differenceimmediately. It?s quiet?and quiet means quality. Our proprietary hydraulic design, unique FunnelFlo? diffuser, and high efficiency impeller work together to move water more efficiently than any other high performance pump. And the advantages don?t end there. WhisperFlo?s oversized strainer basket extends time between cleanings, and the unique Cam & Ramp? lid is transparent and easy to remove, making inspection and cleaning simple and quick. Built with heavy-duty components that are resistant to chemicals and corrosion, WhisperFlo is a workhorse that will perform for years to come. 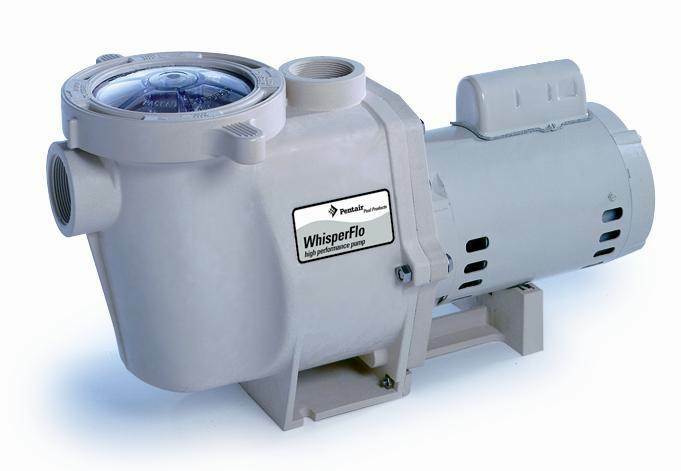 We call it WhisperFlo® High Performance Pump for good reason. This innovative hydraulic design moves water more efficiently and more quietly than competitive pumps. Under typical operating conditions, WhisperFlo® High Performance Pump offers the highest water flow of any high performance single- or two-speed pump?yet with the lowest electrical consumption. Built to last a lifetime, and as a result, the industry's top seller for years.